Contact Me to inquire about this sculpture's edition's size and price. Certificate of Authenticity. 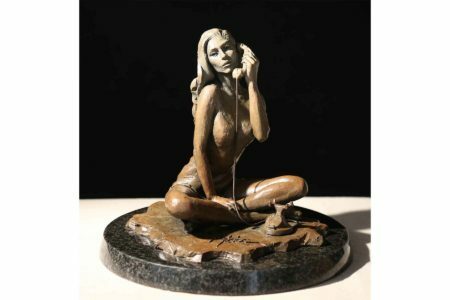 Each limited edition bronze sculpture is accompanied by a Certificate of Authenticity that is signed, numbered and thumb printed by Fabian Perez.